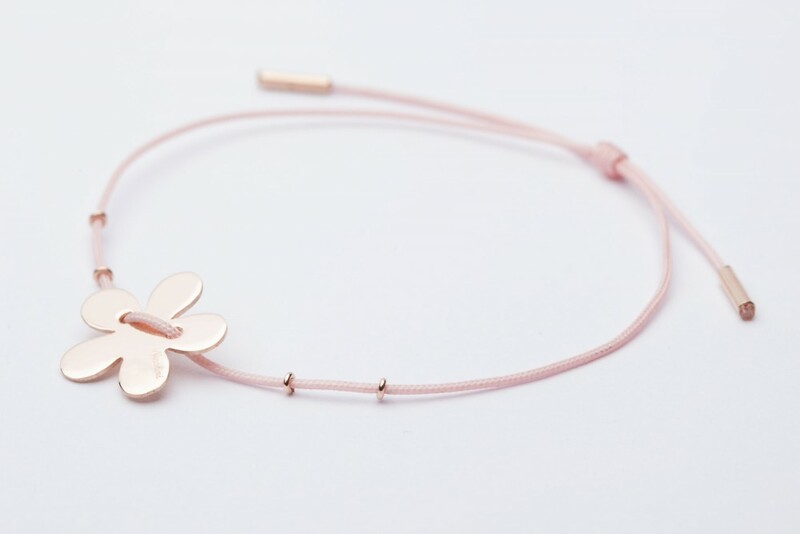 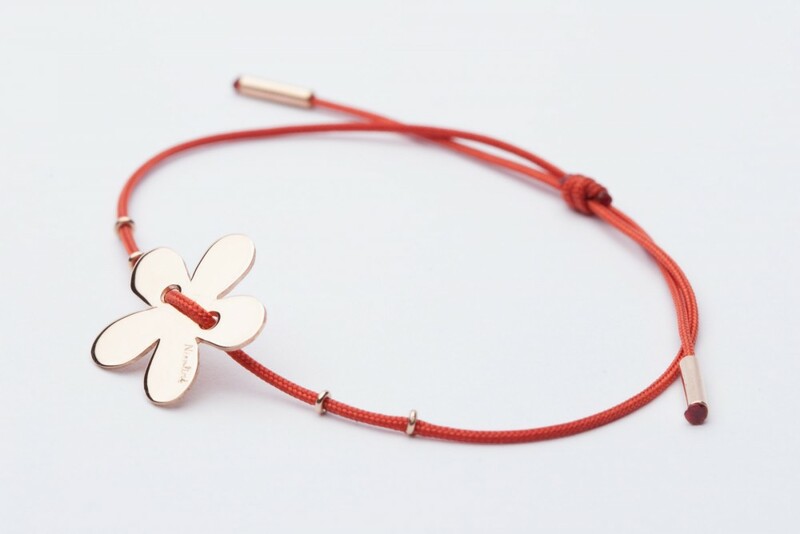 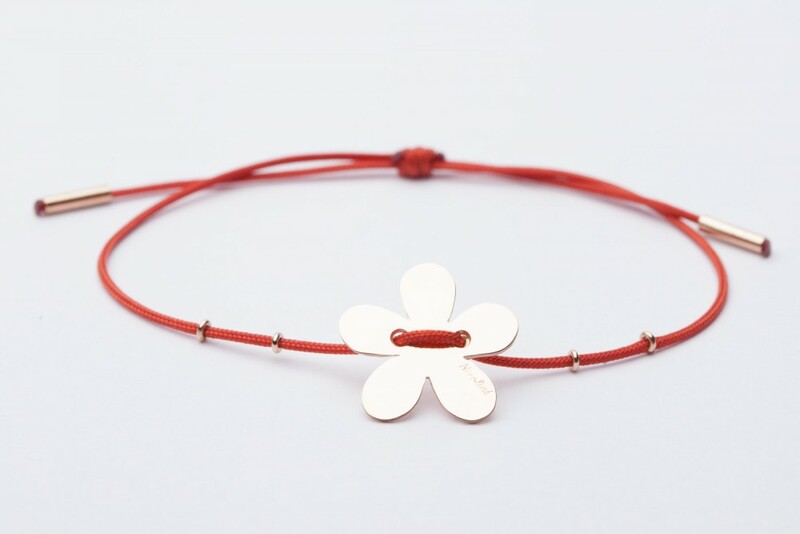 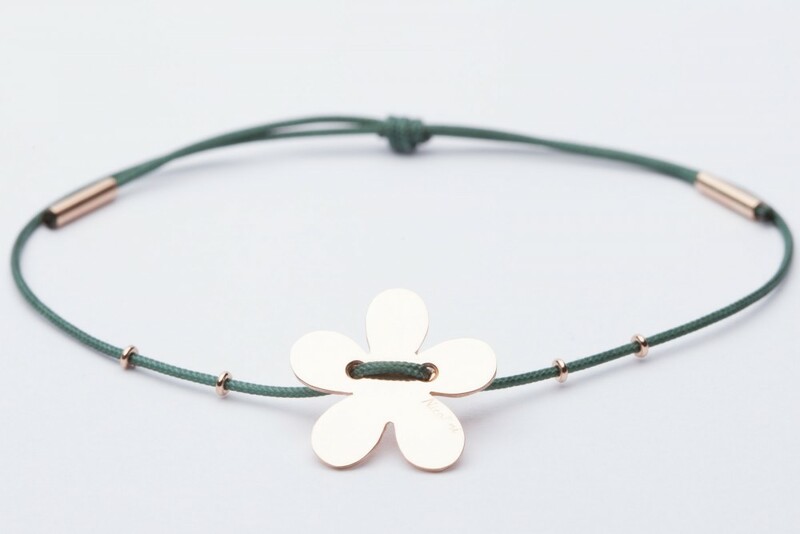 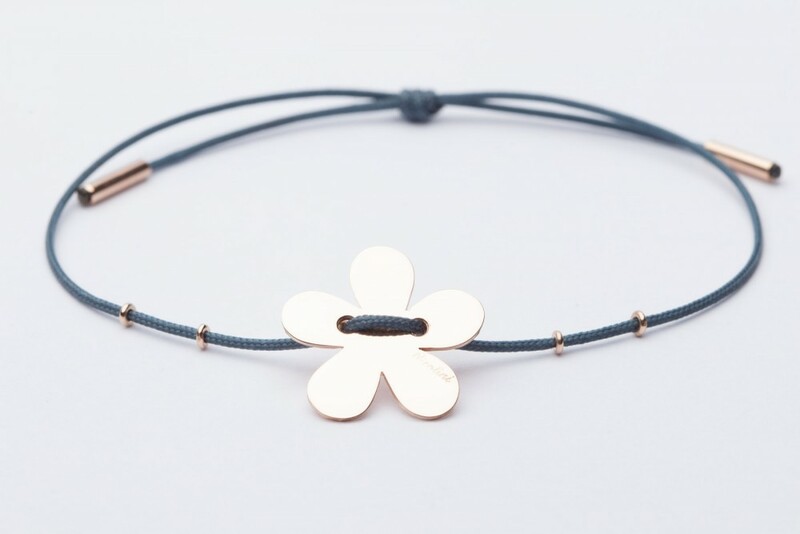 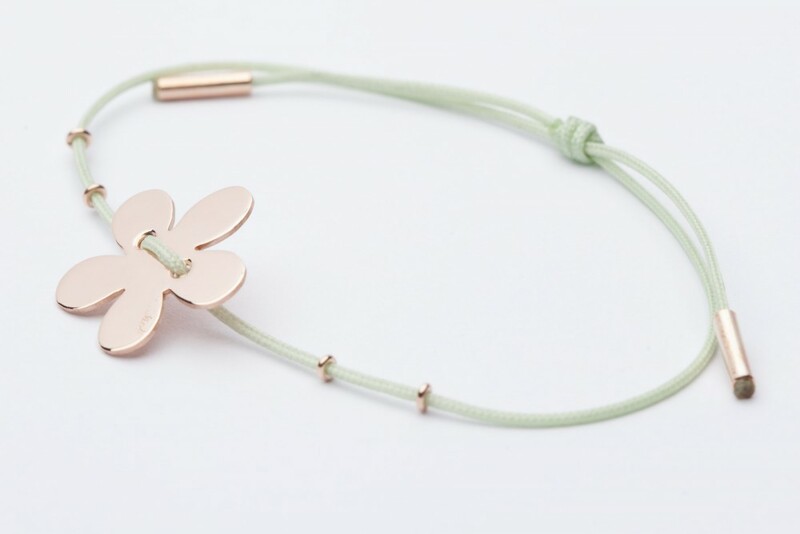 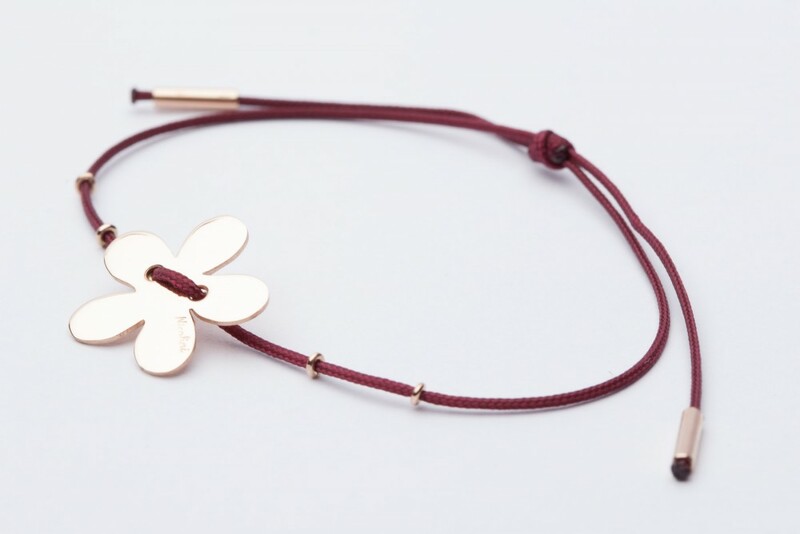 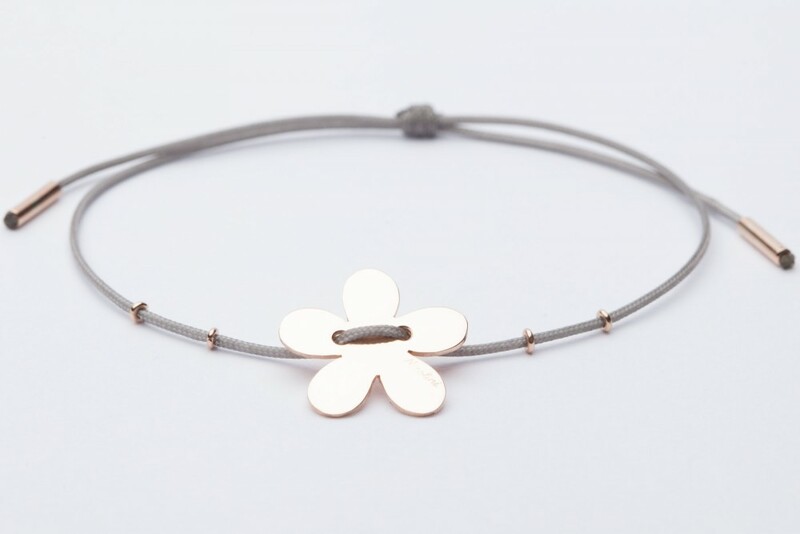 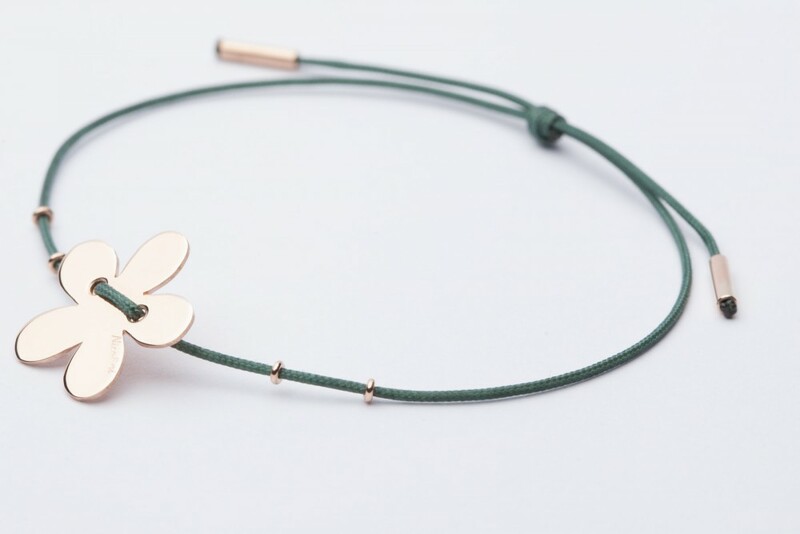 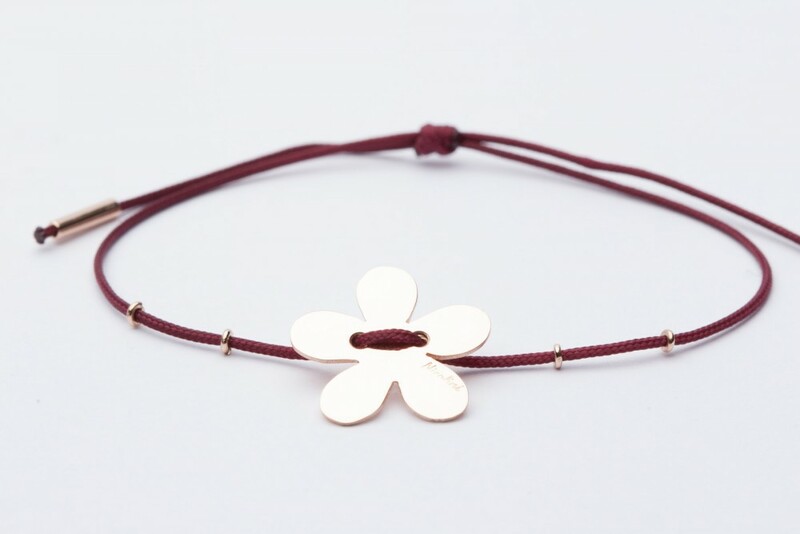 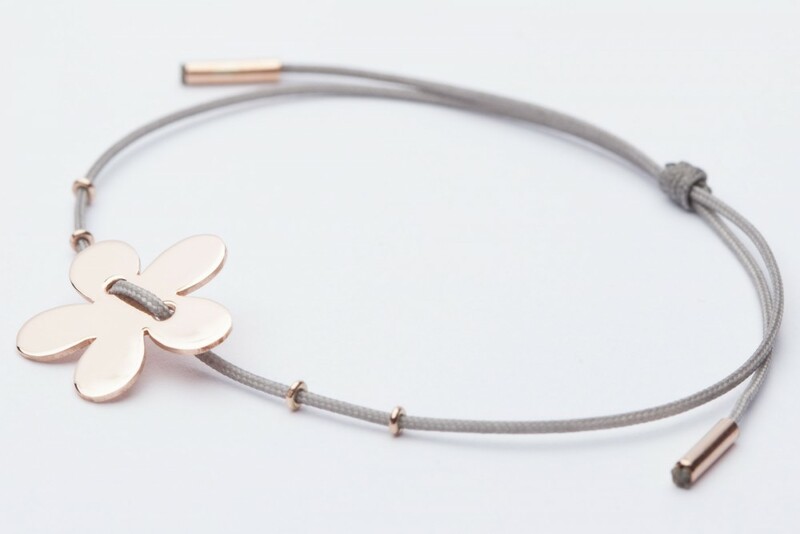 Minimal bracelet with flower shape in 9 kt rose gold. 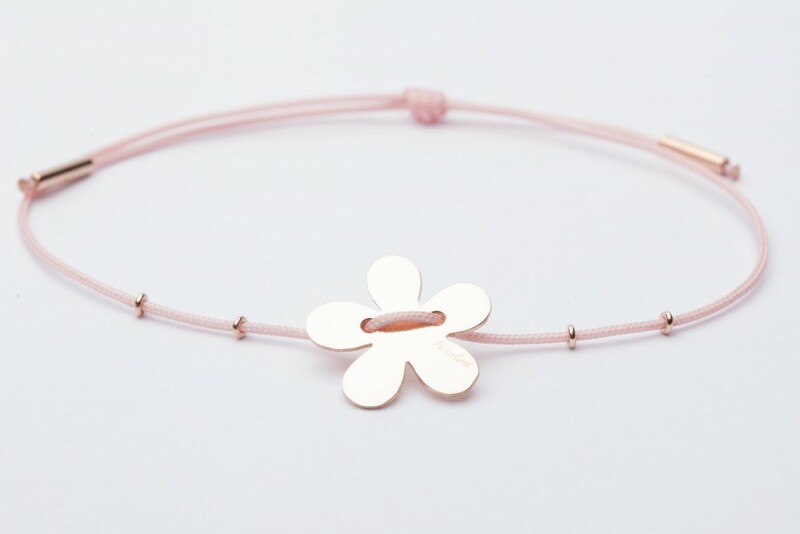 Bracelet with mirror effect flower, handmade in 9 kt rose gold. 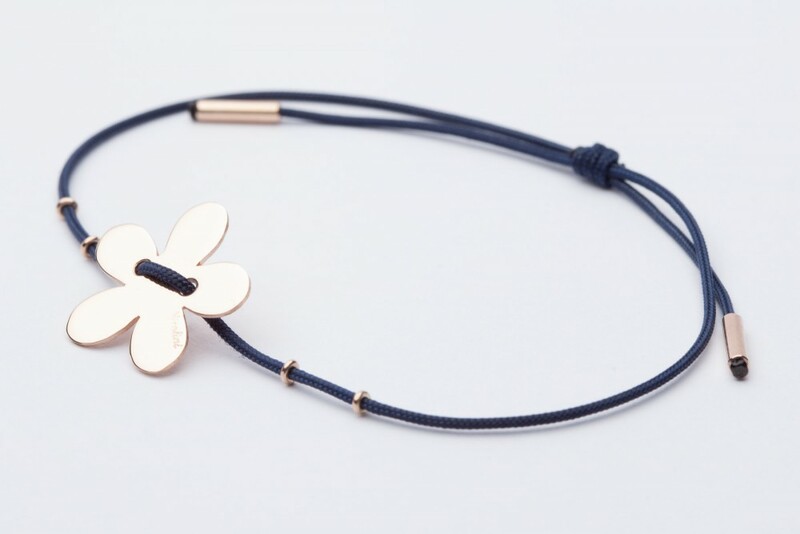 The flower is 16 mm. 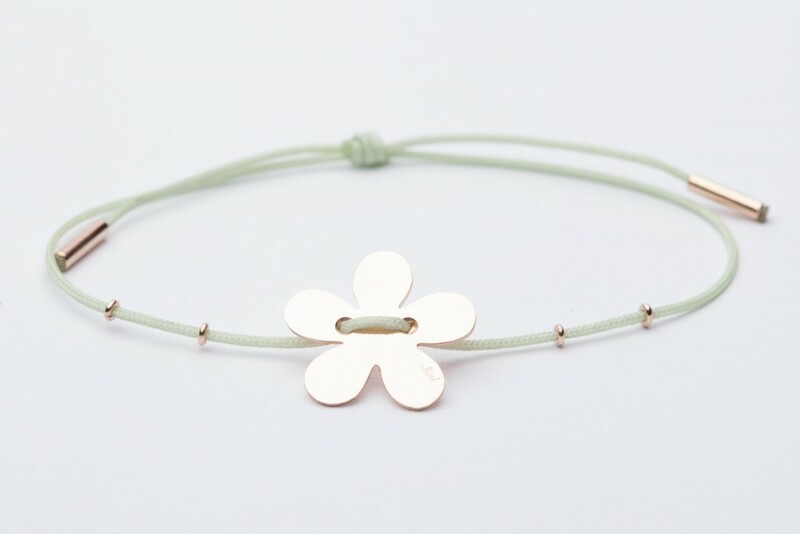 The string we used is available in several colors, select you favourite one by the drop-down list. 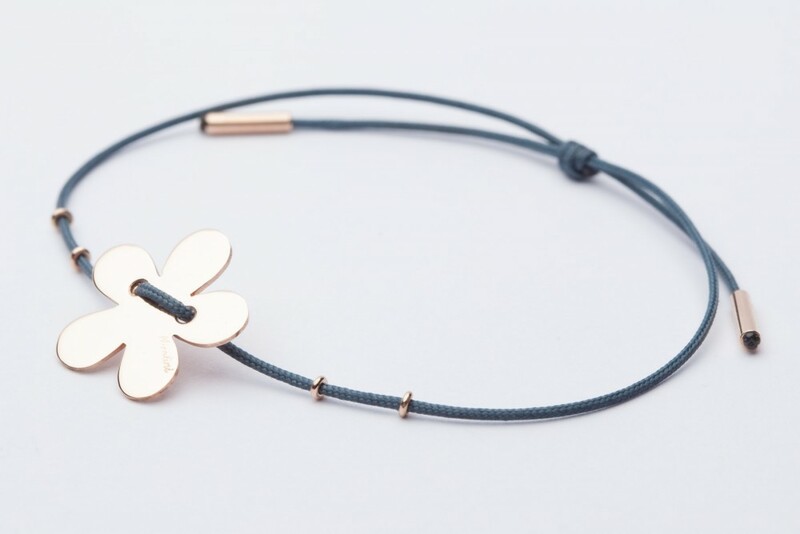 This special fabric has a high percentage of nylon, this is why it could get wet over and over again without loosing its color and hardiness. 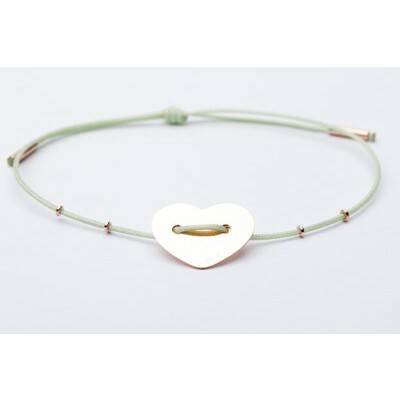 You can adjust the size by yourself using the slipknot. 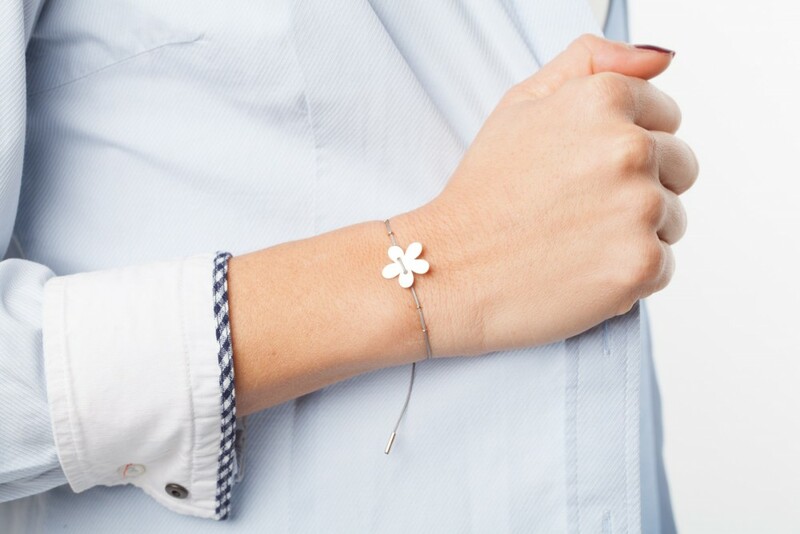 This bracelet is very light and easy to wear it everyday. 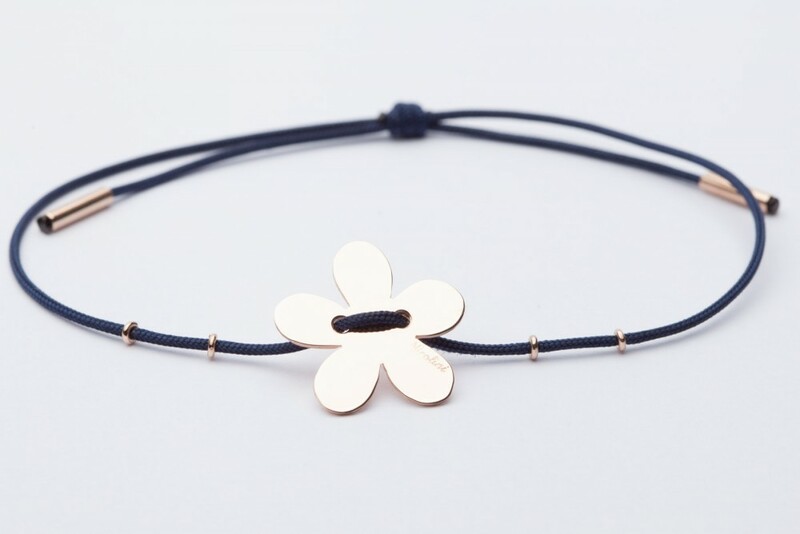 The bright gold sheet gives value and elegance to the bracelet, without loosing its casual and sporty look.